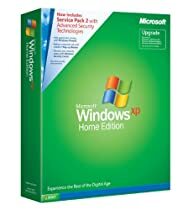 How to do a fresh clean install of Windows XP home, a Windows XP home upgrade, Windows XP home install, a Windows XP home repair, Windows XP home Parallel install, Windows XP home OEM installs, home reinstall, windows XP home compatibility, windows XP home requirements, how to Windows XP, and Windows XP home uninstall. Into digital photography? The features in Windows XP make it easy to transfer pictures directly from your digital camera to your computer and even organize and share your photos. Games for Windows open a wide world of fantasy and adventure. Take a break from reality and have fun with friends and family at any age. With its fast and flexible playback features, Windows Media Player makes it easy to enjoy your favourite music and movies whenever you like. Take advantage of these resources to get the most out of your Media Center personal computer. Quickly set up and connect all the computers, printers, devices, and an Internet connection in your home with the all new Network Setup Wizard. Sharing a computer with others has never been easier; quickly access your personal files and accounts without having to close applications or restart the computer.